A kidney transplant is a surgery where we place a healthy kidney into a person with kidney failure. Kidney transplants are one of the most common renal and organ transplant operations in India. India is famous for medical tourism. Many people come here for treatment and organ transplant. 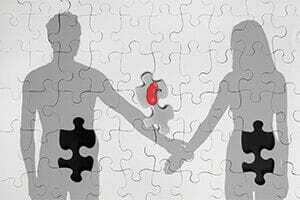 We require a donor to replace the defective kidney with the healthy one. A Living donor who is a relative –the donor is related to the person receiving the kidney, such as a parent, sibling or child. A Deceased donor – a person who has recently died and has no known chronic kidney disease. DNA test is becoming an important tool in establishing the biological relationship between living relative donor and recipient. Living donation occurs when a healthy person donates a kidney or part of the liver, lung, intestine, pancreas, bone marrow or blood to another person. Transplant recipient generally have better results when they receive organs from living donors as compared to organs from deceased donors. Often, transplant organs (also known as grafts) from living donors have greater longevity than those from deceased donors. Also, better genetic matches between living donors and candidates may lessen the risk of rejection. For a hospital and the surgeon, it is mandatory to evaluate the biological relationship between the living donors & recipient. DNA Forensics Laboratory Pvt. Ltd. is providing its services to many prestigious hospitals to avoid fraud and involvement of any kidney rackets. As per the Transplantation of Human Organs Act (THOA Rules 2014), if in the opinion of the competent authority, the relationship is not conclusively established after evaluating the provided evidence, it may in its discretion direct further medical test, namely, Deoxyribonucleic Acid (DNA) Profiling. The DNA Profiling test referred in sub-rule (2) shall be tested from a testing laboratory accredited with (NABL) National Accreditation Board for Testing and Calibration Laboratories and certificate shall be given in Form 5 along with DNA test report. The committee which is supposed to give approval for live donor kidney/liver transplant may not accept application with the statement that it is incomplete if DNA test report has not been submitted as per THOA Rules 2014. Detailed documentation and photographs of the donor and recipient can’t prove the biological relationship. For example, if donor is father, son or daughter of the recipient. In this case DNA test plays a vital role in identifying biological relationship with STR, YSTR and mtDNA based test. Biological relationship can be proved by conducting paternity DNA test, maternity DNA test, siblingship DNA test, YSTR analysis and mitochondrial DNA test. DNA Forensics Laboratory Pvt. Ltd. offers all kind of DNA relationship tests and results are over 99.99% accurate. Different DNA profiling test can be performed based on the donor and recipient’s claimed relationship. What is Blood typing (ABO compatibility)? Blood typing is the first blood test that will determine if your blood is compatible with the donor. What is Tissue Typing (HLA Typing)? Each person’s tissues are different from the other except for identical twins. It is believed that the better the tissue matches, the more successful the transplant will be for a longer period of time. Children inherited a set of chromosomes from each parent. The sixth inherited chromosome carries the antigens that are important in kidney transplants. An antigen is a genetic marker and is unique to your body. This is called HLA, or human leukocyte antigens. And the process of identifying these antigens is called tissue typing. The leukocytes, or white cells, in blood carry these antigens and are used to identify their identity. There are more than 7,000 to 8,000 combinations of known antigens. A child inherited a sixth chromosome from each parent, either parent could donate a kidney to child as long as he or she is healthy and has a blood type that is compatible. A sibling could also be compatible if he or she inherited the same combinations. A parent and child would have at least 50 percent matches while siblings could have a zero to 100 percent match. The best match for the recipient is to have six out of six antigens match. What is a Serum Crossmatch? A serum crossmatch is a multiple times blood test of recipient and the donor, including right before the transplant surgery. To do the test, cells from the donor are incubated with recipient serum. If your serum has antibodies against the donor’s cells, the cells will be destroyed and his is called a positive crossmatch. It means that the transplant cannot take place. If there is no reaction, the result is a negative cross-match. This means the transplant surgery can be done.